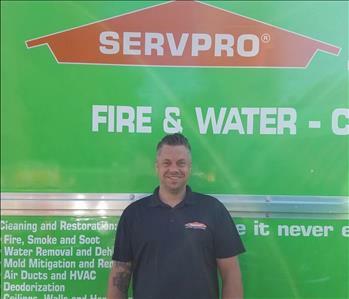 Brandon is one of our crew chiefs, he has been with SERVPRO for 5 years. Brandon is IICRC and ASD certified. He has 3 years of experience in plumbing and over 10 years of experience in welding and fabrication. Here at SERVPRO Brandon specialize in every category; water, fire, mold and general cleaning.